From the British and Gaelic bards, to the Griots of West Africa, to the stories about lineage that we grow up hearing from our family members, oral traditions are some of the oldest and most consistent ways of passing down information from one generation to the next. Sometimes set to music or written in poetry, these histories are often preserved in culturally significant and unique ways. Modern practice privileges histories that are written down. We tend to think of oral histories like we would a game of telephone, fearing that the story is altered each time it's told until finally, the information is so skewed and glamorized it barely resembles the original events. We doubt people’s memories and call into question the bias of ancestors. Therefore, oral histories are frequently dismissed as unreliable historical sources, though in the United States, it's rare that details about most nonwhite or poor white Americans regularly appear in documentary evidence. We fail to recognize that what is and what is not remembered can provide important information and context about the past and people's individual and collective lives. Montpelier descendant, Bettye Kearse in the cellar doorway of the Madison house. Eduardo Montes-Bradley. Courtesy of the Montpelier Foundation. At Montpelier, we see oral histories as a vital tool to ensure that our interpretation of time and place is accurate and well-rounded. We cherish the stories that our active descendant community are willing to share with us about their families and we use those to guide our historical understanding and interpretation. Without them, large and important parts of our narrative as Americans are omitted. Historians who study African American life rely on contemporary oral histories more than other scholars because documentary evidence of the individual lives of slaves is often scarce and unfinished. 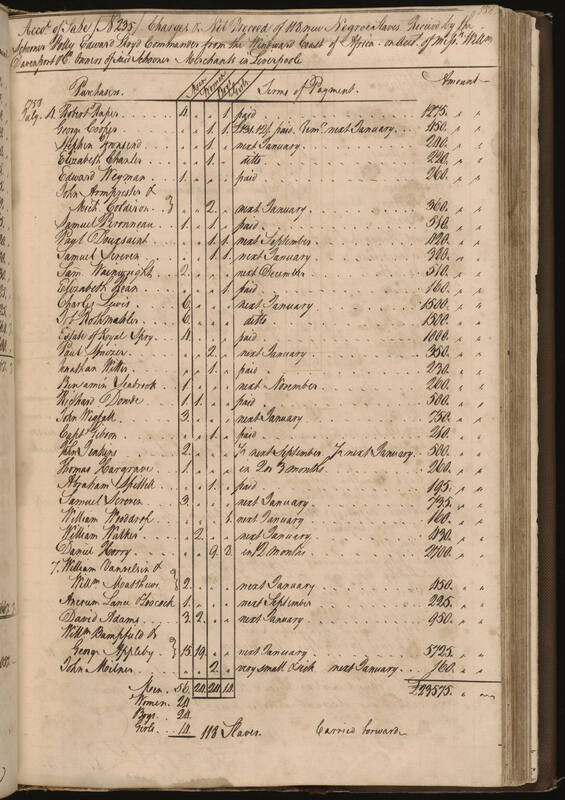 The last names of enslaved people were not usually written in deeds or documents when they were being bought and sold, and it's nearly impossible to find a slave ship record with the names of the kidnapped West African cargo. The names themselves are often contested because enslavers stripped Africans of their given names and assigned them European replacements, or demoralizing and ironic names (like Kunta Kinte becoming "Toby" in Roots). 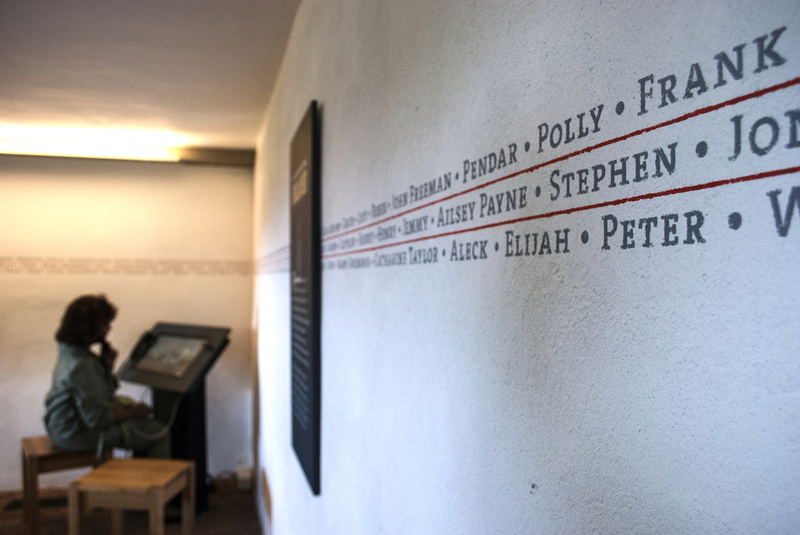 First names of slaves known to have lived at Montpelier as part of The Mere Distinction of Colour exhibiton. Proun Design. The institution of slavery systematically broke native Africans and African Americans from their homeland and their history, creating a gap that, to this day, has been difficult to bridge. Slavery attempted to strip African Americans of their humanity to ensure enslaved people were not viewed as people with their own lives and integrity, but instead seen as property, akin livestock or cattle. While some enslavers kept detailed records of their property, many did not, leaving large holes in the historical record that we rely on other means (like oral histories), to fill. Primary source document of slave names. Last names were rarely documented. Northern Light Productions. Courtesy of the Montpelier Foundation. While some failed to keep records at all, some of the records that did exist were destroyed. The practice of burning documents was common during the 18th century and there are a number of recorded burnings at Montpelier that may have included slave schedules. Unless the documents were deemed important enough to be preserved, bills of sale for enslaved people were analogous to modern-day receipts and considered garbage. Even if enslaved people are listed in court records, stories or accounts outside of their name and occasionally a physical description are unlikely. Sometimes personal letters will offer more details or information about the lives of the enslaved men and women on a plantation, but these typically belongs to an individual and are inaccessible unless they're willing to make it public. Example of a slave ledger of sale. WikiCommons. Oral histories are critical because tracing an enslaved person and their accompanying stories and histories through documentary evidence alone is often not possible, and when it is, can extremely difficult and time consuming. Because of the dearth of documentary information about enslaved people, oral histories play a critical role in informing our understanding of what their lives and circumstances were like. They provide researchers with new avenues of exploration, connect seemingly disparate information, or give context to an existing document, and can be used to reinforce, corroborate, and inspire further exploration of documentary evidence. In the 1920s historians at Fisk University, Southern University, and Kentucky State University began recording oral histories of formerly enslaved people, as they would be the last generation to have been potentially born into slavery. These accounts were quickly discredited by white historians, citing them as invalid or irrelevant to then-current understandings of slavery. They were largely forgotten until folklore as a discipline gained traction in the 1930s, with researchers like John Lomax working to preserve the stories of ordinary people during the Great Depression. The Federal Works Progress Administration (WPA), Writers Project employed several people to collect oral histories of formerly enslaved people during the Great Depression, and these became known as the WPA Slave Narratives. From 1936-1938, more than 2,300 accounts of slavery were collected, bearing witness to the atrocities of slavery. 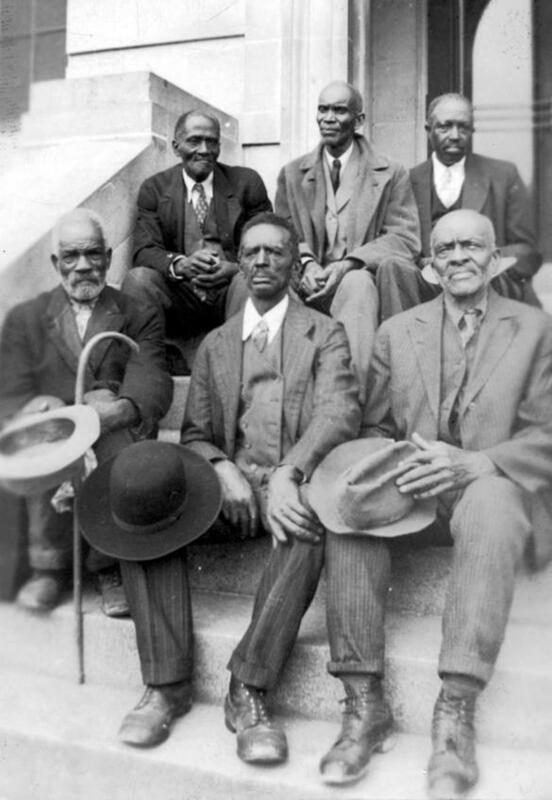 Formerly enslaved men sitting for photography as part of WPA study. WikiCommons. To this day the WPA Slave Narratives are some of the most valuable and informative sources on the institution of slavery, even though we understand they are flawed. Many of the people interviewed would have been children at the end of slavery (as slavery had been abolished 71 years earlier), so a full conceptualization of the experience was likely lacking. Also, many of the interviewers were white, thus the power dynamic and nature of the topic likely caused a strong bias towards people being less honest about feelings toward enslavers. Even though historians are aware that the raw facts of these narratives may not be 100% accurate, and there is little documentary evidence to corroborate, these narratives still provide valuable contextual information and insight into the atrocities and complexities of American slavery that would otherwise remain unsurfaced. In addition to what is explicitly revealed in the stories, we also learn from what went unsaid, and how that compares and fits into the content of the documentary evidence. At Montpelier, our decision to honor oral histories is intentional. We understand the historical boundaries of record-keeping in the African American community and the cultural importance of those familial histories that will never make it into the record books. We use oral histories from our descendant community to piece together events, lineages, and to better understand what life was like for African Americans in Orange County pre and post emancipation. Our descendant community has shared invaluable information about property, landscaping, and interpersonal relationships that help us better and more fully understand Montpelier, Orange County, and African American life in Central Virginia and abroad during the founding era. 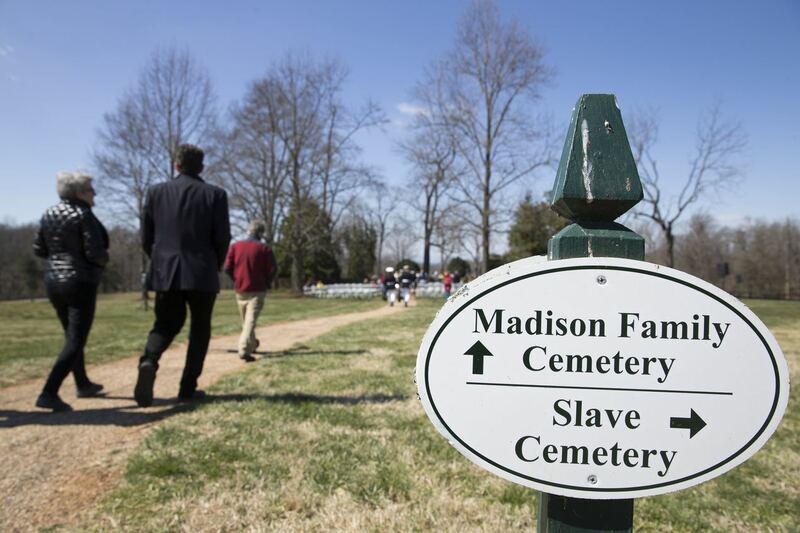 Sign on Montpelier property denoting direction of slave cemetery. U.S. Marine Corps photo by Cpl Timothy A. Turner. Montpelier's rich oral histories give us new avenues of exploration and teach us more about Montpelier and the surrounding properties that we could find from documentary evidence alone. Our interpretation of slavery, reconstruction, and the Jim Crow era relies on our descendants sharing their stories with us. Many people have been generous enough to share their familial stories about enslavement that have been passed on from their ancestors through time. 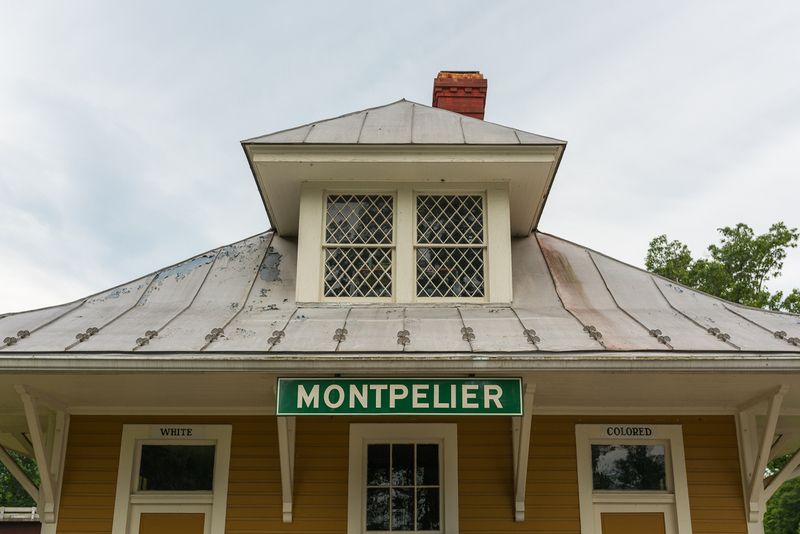 Some of the descendants of those enslaved at Montpelier worked for the duPonts when they acquired the property, connecting several generations of oral history directly to Montpelier. With their permission, we use their histories and experiences to directly inform our tours and interpretation, allowing us to present visitors with a fuller, more accurate American story. Montpelier Train Depot. Depot is interpreted as a segregated space as it would have been during the Jim Crow era. The Montpelier Foundation. Our interpretation of the Gilmore Cabin, across the street from the main entrance on Rt. 20, is a direct result of Rebecca Gilmore Coleman sharing her family’s history with us. Rebecca Gilmore Coleman. Eduardo Montes-Bradley. Courtesy of the Montpelier Foundation. 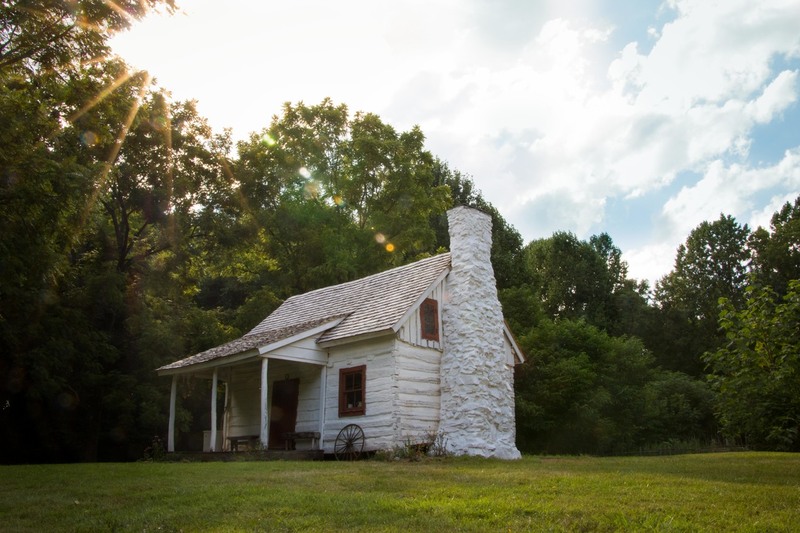 In advance of Montpelier’s commemoration of Madison’s 250th birthday in March of 2001, Coleman reached out to the Montpelier Foundation to inform them of the then run-down cabin across the street. The reconstructed Gilmore Cabin, Rebeca Gilmore Coleman's family's home, across the from the Montpelier Gates. Jennifer Glass. Courtesy of The Montpelier Foundation. One day while riding down the road with her father, he informed Rebecca that he was born in that cabin, and that it had been built by his grandfather, George Gilmore, who had been enslaved at Montpelier. George Gilmore built the cabin on land he had received after emancipation in 1865. Generations of her family had lived in the cabin before the land was bought by the duPonts. 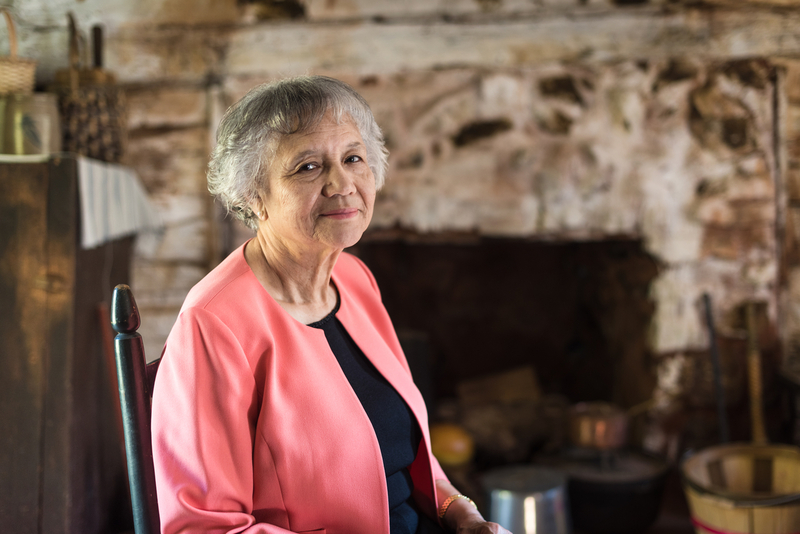 Coleman lobbied the foundation to preserve her ancestral home and by doing so, expanded Montpelier's historical interpretation to encapsulate Reconstruction-era African American history. Without Coleman sharing her familial history, it's hard to say if we would have had the same impetus to tell this story with important ties to, and implications for, the history of the region and our nation as a whole. Post emancipation, African Americans left Orange for other places, like Pittsburgh, Pennsylvania, and Washington, DC, and re-formed communities with people they had lived near or been enslaved with. The stories of these people, like Madison servant, Paul Jennings, gives us insight into familial and social relationships and helps us better understand how people may have been linked in ways documents can't. 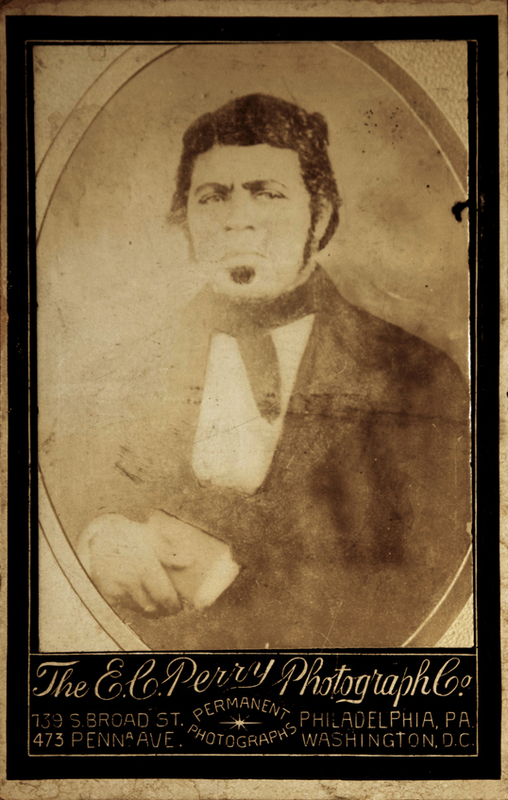 Paul Jennings, a former Montpelier slave, founded of the Foggy Bottom neighborhood near Washington, D.C. Courtesy of the Sylvia Jennings Alexander Estate/The Montpelier Foundation. Patricia McDaniel’s oral history sheds light on several aspects of her family’s relationship to Montpelier, Orange county, and Pittsburgh. Her ancestor, Benjamin McDaniel, was enslaved by James Madison as a liverymen. Patricia describes a situation where her ancestor won a suit against a white man during reconstruction, and in the Freedman’s Bureau, he is described as "formerly enslaved by James Madison." In another part of McDaniel’s oral history, she shares a story about another one of her ancestors, Tucker McDaniel, who accidentally shot a white man’s mule and had to leave Orange due to the threat of physical violence. He moved to Pittsburgh, and eventually brought several other friends and cousins with him. This connection to Pittsburgh, provided by McDaniel and her relatives, prompted researchers to look more thoroughly at census records in Pittsburgh during the early 1900s, and found that several familiar names appeared in Orange and Pittsburgh, living close to one another in both places. We were then able to tag people who left Orange and track their lives post-Emancipation: what they did, where they lived, who they married, etc. This seemingly small connection has led us to a wealth of information, helping us get a better sense of communities that have formed and bonds that have been maintained over time. In the award-winning exhibition, The Mere Distinction of Colour, oral histories play a prominent role in the experience, and can be found in all 3 of the interpreted spaces. In each section, descendants share stories of their ancestors and their own experiences and realities. Some of the stories have direct connections to Montpelier and surrounding plantations, while others share the humanity, thoughts, and feelings of the enslaved, transmitted orally across time and space. Situating descendant oral histories directly into the exhibit ties together ancestral and descendant voices to create a and powerful and authentic narrative that augments years of documentary and archaeological research. Montpelier descendant, Margaret Jordan, tells a story of the enslaved in The Mere Distinction of Colour. Northern Light Productions. Courtesy of the Montpelier Foundation. Oral histories pertaining to slavery can be difficult to come by. For generations following emancipation (and still today), many African Americans are uninterested in discussing two and a half centuries of oppression. They, instead, focus on the future, and endeavor to move on and create better lives for their families, putting distance between themselves and the horrific trauma their ancestors survived. Brent Leggs silhouette in the Madison house. Eduardo Montes-Bradley. Courtesy of the Montpelier Foundation. Though often painful, these oral histories are invaluable sources for the work that is done at Montpelier. They tell us about people’s personalities, people's lives, and fill in gaps left by documentary evidence. It helps give us get a better sense of the day-to-day lives of the enslaved and a deeper understand of the context of the documents we study. Oral histories give us starting points, guide our research, and help us find the missing puzzle pieces to make connections otherwise unavailable in the written records.